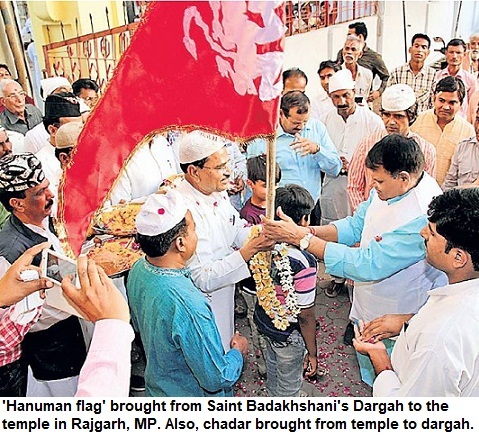 It is a proof of how much scope Muslims have in independent India to excel. 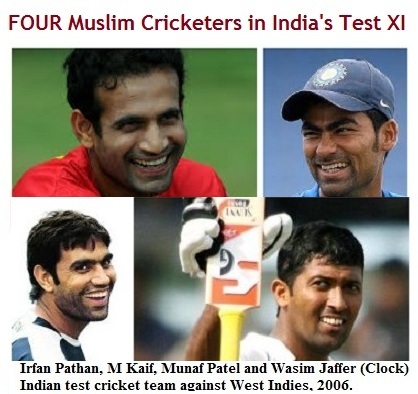 Four Muslims were selected in the playing eleven against West Indies in the second cricket test match. Though it is no index of our secularism but purely a cricket-maniac's observation. Still, this is almost 60 years after an Indian cricket team has played four Muslims. In the first official test of India in 1932, four Muslims--the stylish Wazir Ali, Nazir Ali, Jehangir Khan and speedster Mohammad Nissar had represented the country. The English were shell-shocked by Nissar's accuracy. In the series of 1933-34, Dilawar Husain, the gutsy wicket-keeper, who became the first Indian to score fifties in both innnings and Mushtaq Ali played apart from Wazir Ali and Nissar. The record was made in the series in 1936 when six Muslim cricketers played in the Oval test. Under Vizianagram's captaincy, Mushtaq Ali, Dilawar Husain, Wazir Ali, Jahangir Khan, Baqa Jilani and Nissar were part of the playing eleven. However, after independence the number of Muslims steadily went down in the team. In the 70s Pataudi, Durani and Abid Ali played in the same test several times. Mohammad Azharuddin, Arshad Ayub and Rashid Patel played in the same match in late 80s. Similarly, with the arrival of the era of Zahir Khan, Pathan and Kaif, often three Muslims have played. But it has been almost 60 years after, that four Muslims are part of an Indian cricket team. The photographs of all the four cricketers are here on the left. Munaf Patel, Mohammad Kaif, Irfan Pathan and Wasim Jaffer. Clearly, that's the highest number [maximum] of Muslims in Indian team, post-Independence. Ten years later, as I again got to see this post, I realise how suddenly Muslim cricketers have faded from the horizon. The test match I mention above was played in West Indies, the second test of the series. Sehwag, Dravid and Kaif hit centuries. Md Kaif remained unbeaten on 148 in the first innings. India had amassed 588 in first innings and for most part of the match India had upper hand though test ended in the draw. Rahul Dravid was the captain of the Indian team, wasn't he!